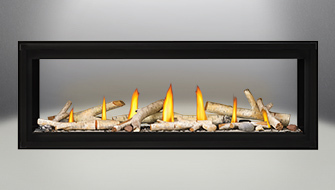 Adjust the brightness of accent lights to enjoy your fireplace in any season. 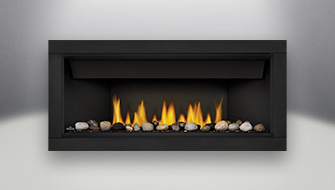 Adjust the flame of your fireplace to the perfect height. Control the speed of your blower with a simple slider. 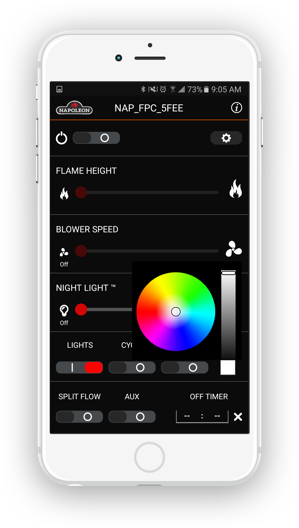 Control the function of the LED Lighting between color, pre set modes and brightness. 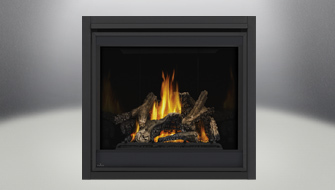 Configure to suit your own fireplace features. Turn your fireplace on and off from your mobile device. Set a timer to turn off the Fireplace when you are not around (24Hrs max). Select any imaginable color with ease. After downloading the app, ensure your Bluetooth settings are turned on then proceed to the eFIRE application. 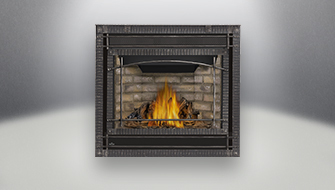 Open the App and tap the screen when CONTROL YOUR FIREPLACE appears. The next screen will start to search for a Napoleon fireplace with Bluetooth installed. Once a Fireplace is located, the factory name of NAP_FPC_#### will appear (Each Bluetooth has a unique name which will be seen in the last four digits in the factory name, ex NAP_FPC_A1B2). Once you select the fireplace, the next screen will ask for a password, this is factory defaulted for 0000. Once this is confirmed the app will then open the main function screen to be able to turn on and control the functions in your fireplace. I am Having Trouble Connecting To My Fireplace? Ensure your device Bluetooth settings are turned ON. Only 1 device can connect to the fireplace at a time. If another device is currently connected to the Bluetooth the Fireplace name will not be found in the list of available devices when searching. Contact your local fireplace dealer to ensure that the fireplace connecting to is equipped with a Bluetooth controller and that it is installed correctly. The password can be changed in the settings page of the App under change password. How do I change the unit name? The Factory name of NAP_FPC_#### can be changed to your personal preference in the settings page under the ‘Nickname’ section. Can I operate the lights by themselves? Yes. The LED lights and the accent lighting (if equipped) can be turned on without a flame. The Timer can still be set to turn both lights off after a set amount of time. The split flow function will operate a split flow valve which supplies fuel to a secondary burner. This is only used with units that have 2 or more separate burners. The 2 separate burners are used for adjusting the heat output to the room. 1 burner would be more aesthetic and lower BTU while the 2nd burner would be more BTU and more heat. The Auxiliary switch (AUX for short) is a remote switch. Custom installations may require features that need another source of control this switch can be used to switch on/off a load 0-120V, 5A max. This is up to the installer’s discretion as to what additional accessories are installed into the fireplace according to local and national electrical codes. In the settings page of the app there is the option to turn the continuous pilot feature ON and OFF. The continuous pilot can only be turned ON of OFF when the fireplace is OFF. When the fireplace is operating, the continuous pilot switch will be grayed out. The newest version of the app allows for a customizable user interface which can hide certain features that are not supported to the fireplace. The Bluetooth has a wired connection to the Fireplace controller. As long as the fireplace controller is energized, the Bluetooth will be active. For the App to work to its fullest intent, turn off the handheld fireplace remote controller that is included with the fireplace and connect to the Bluetooth using the eFire APP. 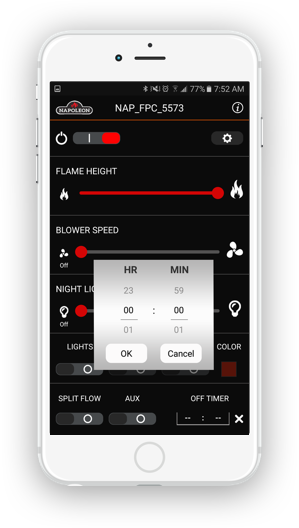 For communication safety reasons, the hand held remote will override the Bluetooth command and the app will not be able to control the flame until the remote is in the off position. Not vise versa. The user will still be able to control the LED lights (if equipped). The APP is equipped with a settable timer up to 24hrs. this timer will shut off all the features on the app screen. (Flame, blower, Nightlights, LEDs, splitflow, and AUX). There is also a default timer that will shut the fireplace OFF 24hrs after the last interaction with the eFire APP. Depending on the customer’s smart phone settings, the App update may install automatically depending if automatic updates are enabled. The update should remember the password and nickname settings from the previous version. The eFire App update is backwards compatible with the older Bluetooth controllers. However, the old Bluetooth controllers will not support the added features in the new APP. This May only affect a small handful of customers who purchased the Bluetooth add-on kit with a fireplace that includes Nightlights or customers who want control the continuous Pilot. This option will control the valve to allow more or less Fuel into the burners. More fuel will create a larger flame and more heat. This option will control the Speed of a comfort fan or other Napoleon recommended Blower that is connected to the Blower output of the fireplace controller (Only if equipped). The blower will only be on when the fireplace is ON with flame. 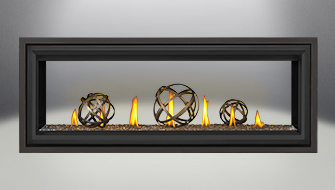 This option will control the brightness of a Napoleon Equipped Accent or Night Lights inside the fireplace. These can be turned ON when the fireplace is in the ON or OFF position. (Only if Equipped). There are three modes available for the RGB LED lights. Cycle, Emberbed and Color. Cycle is a slow rotation between Red, green, and blue. Emberbed is a preset color that fades in and out to best resemble real burning embers. Color is access to a color wheel to pick any color imaginable. 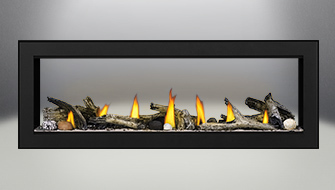 There is also a brightness setting to dim or brighten the LEDs inside the fireplace. (only if equipped). Do I need to upgrade the current version of my App? No, if your current version still operates all of your fireplace features you do not need to upgrade, but Version 1.2 does offer some extra features and is now customizable. I am having Trouble Controlling all the Features with my App? Ensure your fireplace has the features you would like to control installed as not all fireplaces include all features – eg. 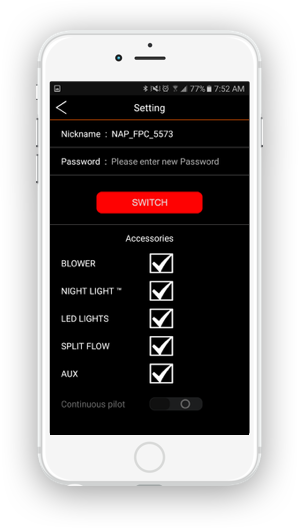 The Blower, Night Light, LED Brightness setting are only available if equipped or optionally installed. Ensure the Auxiliary (AUX) switch is in the correct position. 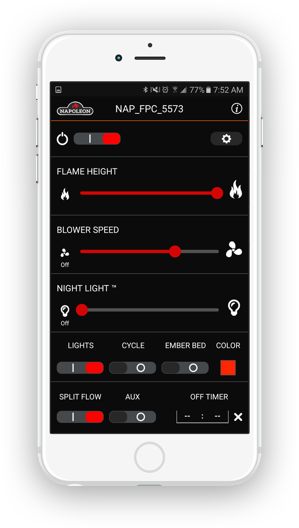 If the switch is not in the position you will not be able to fully control all the features of your fireplace with the App. Which products is this available with?